Those of you who have joined me at wine tastings, hear me throw out descriptions that may or may not make sense to you. 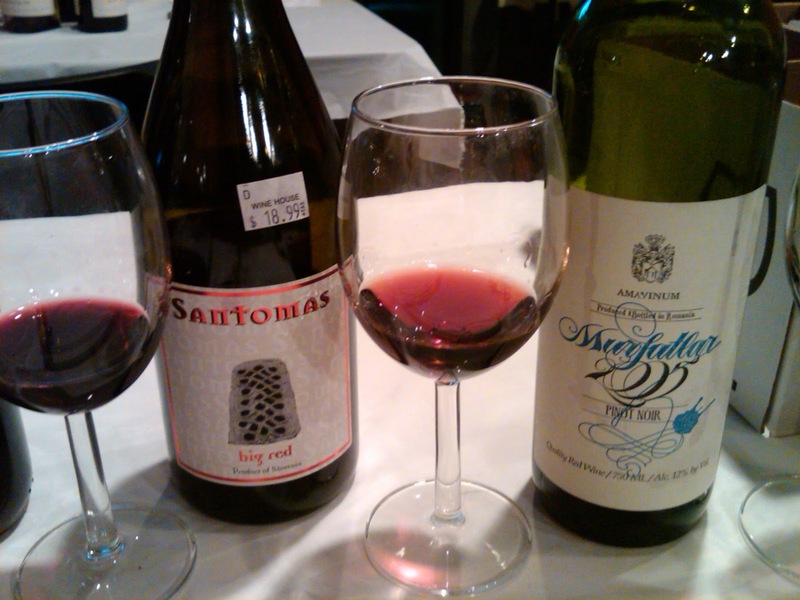 I often refer to wines as "old world" or "new world", or I might describe a wine as being "old world" in style. So, what exactly do I mean? "Old world" refers to wines grown in European countries. These countries have long history with wine growing, many going back several hundred, or even thousands of years. The most notable countries would be France, Italy, Spain, Germany, and Portugal. There are many others that are considered old world, but we just don't see too much of their wine in the United States. 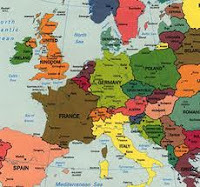 some of the less known are: Austria, Romania, Switzerland, Greece, Hungary, plus many more. "New world" includes all the other areas. The most obvious would be: The United States, Australia, Chile, Argentina, New Zealand, and Canada. The less obvious "new world" regions would be South Africa and Mexico. The reason I say "less obvious" is that it seems that wine has been in these areas for a long time. In fact, South Africa has been producing wine since the 1600's and Mexico saw the introduction of wine in the 1500's with the arrival of Spanish missionaries. Geography aside, there are differences in styles of wine. The following is a generalization, as each region makes its' own style, and there are regulations that may or may not determine the style of the final product. Old world wines tend to emphasize terrior, while new world wines tend to emphasize the grape variety. Have I lost you yet? Terrior is a French word that really has no translation in English. The best description is that it means a sense of place. This includes the soil, climate, sun exposure (topography). The goal of old world winemakers is to not meddle with the wine, and let it express the place that it came from. Probably the best example of this is in Burgundy, France, or Mosel, Germany. Both of these areas have long traditions of growing vines in the most proven locations, with time tested growing techniques. Have you ever noticed that Pinot Noir from Burgundy or Riesling from Germany tastes different than the same grapes grown in California? These are the same grape varieties (other than clonal differences) but they just taste different. I find the Pinot Noirs from Burgundy to be more earthy than their new world counterparts that are much more fruity. Many people will argue that terrior is a myth, but try wines from neighboring vineyards, and you will taste a difference. Again, a generalization, but I find old world wines to be lower in alcohol, smoother (subtle) and in most cases, more complex than new world wines. new world wines tend to be bolder, and fruit driven. To me, this means better for pairing with food. Think about it, earthy complex flavors work with earthy, complex foods, but high alcohol and high fruit don't work with a lot of foods. New world wines might also be more manipulated (irrigation in the vineyards, natural compounds added to the wine to adjust acidity, sugar, tannins, etc). The goal is to emphasize the fruits' potential. The last difference between old world and new world has to do with labelling. Old world wines typically are known by their regional name (ie Bordeaux, Rioja, or Chianti), whereas new world wines are known by variety (ie Cabernet Sauvignon, or Chardonnay). If you are buying old world wines, and you really like Chardonnay, then you would need to know that Chablis, or Pouilly Fuisse are both made with Chardonnay. Here's a challenge...buy some old world wines, and new world wines. Do your research to make sure they are the same grape variety, and try them side by side. See if you notice the difference. You've just found this great wine, and think it would be the perfect bottle (or case) to set aside. You figure, "this wine has great staying power, and will been even better a few years down the road". So where do you store it? In the closet? On that wine rack on your kitchen counter? Or, do you have a cellar? I would venture to guess that most of you do not have cellars, so there are steps you can take, to make sure those bottles you set aside do live up to your expectations. When I started collecting wine in the 80's my wine storage consisted of a plastic milk crate located in the basement of our house. I have no idea what the temperature was, but the wine held up pretty well. Later on, I expanded to a nice wooden wine display rack, that I located in my living room (this way I could show off some of my collection)....but the wine didn't seem to hold up very well. I ended up putting my best bottles in the closet in the center of the house (they did much better there). I learned the basics of wine storage by trial and error. Let me save you some steps, as well as help you save your wine. There are five things you should keep in mind, when storing your wine: 1) Temperature; 2) Humidity; 3) Light; 4) Vibration; and 5) Cleanliness. Temperature - The most important thing is consistency of temperature. Think about it, heat makes liquids expand, and cold causes them to contract. If your temperature goes up and down, there is a danger of the cork (or any other seal type) failing. This would lead to oxygen entering the bottle, and your wine oxidizing. There are ideal temperatures to store wine at. Whites are usually stored at lower temps than reds, so your storage range should be somewhere between 45 and 64 degrees. The ideal range is a little tighter: between 50 and 56 degrees (these are obviously fahrenheit). Keep in mind that the higher the temperature, the faster the maturation, and keep the temperature consistent. 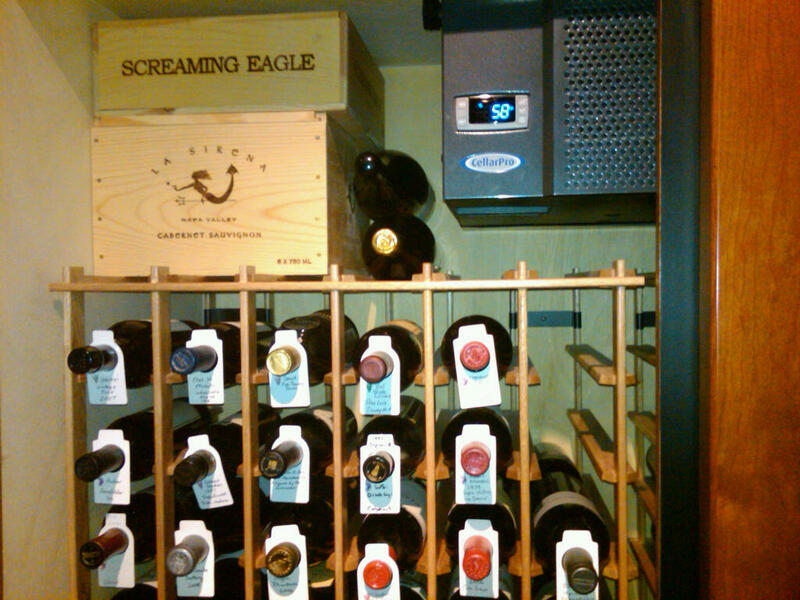 My cellar has one temperature, so I store my white wines on the lower racks and the reds higher up. Humidity - with traditional sealing (corks) humidity is very important. Think about it...cork is bark from the cork tree, so the humidity of your storage area will affect the integrity of your seal. 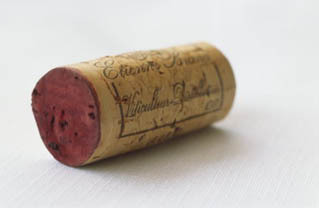 If it is dry, the cork could dry out, shrink, and expose your wine to air, and possibly leak wine out of the bottle. Too much humidity can also be a problem, causing mold to develop. Ideally, your humidity should be around 75% to 80%. 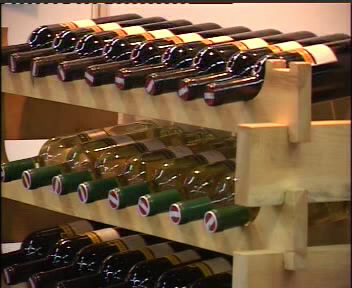 Light - have you noticed that most wine bottles are green, or brown? Not too many clear bottles out there. Reason...wine is photosensitive. In other words, it reacts to light. White wines will darken, and red wines will fade. If you save wine labels, the light will also fade your labels. Store your bottles in a dark location. Vibration - wine is a living organism. Great efforts are made to treat the wine gently during the winemaking process, and the maturing process should be the same. Over time, the wine settles out. Those bottled without filtering will have sediment that needs to settle down. If you are constantly turning, and shaking, you may upset the desired physical changes. I store my bottles, label up, and with wine tags on the neck, so I don't have to pull bottles in and out to determine what is in the rack. Cleanliness - store a bag of garlic next to your wine, and tell me what happens. How did that garlic smell get into everything? 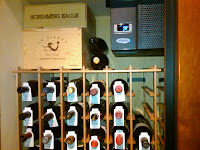 Trust me here, keep your wine in a clean, odor free, well ventilated area. Besides storing your bottles, the only other thing I would recommend is keeping records of the wines you have stored. There are wine cellaring software programs you can buy, but I just keep all mine on an Excel spreadsheet. I keep track of the name, style of wine, vintage, purchase price, estimated "drink by" dates (based on my estimates, and write-ups in trade magazines) and my tasting notes. So where do you store you wines? Is it time to move them to a better location? Wine: drink now or hold? One of the most common questions I am asked, as a sommelier, is whether a certain wine is ready to drink now, or should it be stored away for later? Well, the answer will involve going back to my previous articles on tasting. If you are comfortable with the steps in tasting a wine, then you will have a better idea on how well a wine will age. First, if you are buying the wine at your local retailer, and have not tasted it, you should know that over 90% of all wines are produced and released, ready to drink. I heard somewhere that the average aging of a wine, purchased at a local retailer, is about 40 minutes (the time to drive home, and open). Another thing to understand is that it is just as easy to age a wine for too long, as it is to age it for too little time.This is where your expertise at tasting will suit you well. Some general things to keep in mind: 1) expensive wines can usually age better than inexpensive wine; 2) red wines are more likely to improve with age, than white wines (but there are a lot of exceptions); 3) if not stored properly (a subject for another article) aging may actually ruin a nice bottle of wine. So how do we determine the potential ageability of a wine? There is no definitive answer, but we can make an educated guess, based on our tasting profile, and those handy little vintage charts that are available in many wine magazines and websites. High rated vintages (year that the grapes were harvested) would give an indication of higher potential. When you taste, take note of the acidity, tannins, alcohol, and residual sugar levels. On those nose, take note of the primary fruit aromas, versus the more complex aromas of a developing bouquet. In general, when you smell a wine, you may get a lot of fruit (primary aromas) on the nose. This is an indication of youth. As you move into more "non fruit" related aromas (called secondary aromas) these are signs of aging. Primary fruit, with no secondary aromas, might mean there is aging potential...but not always. As wines age, they gain complexity, while losing fruitiness. Most white wines are made to preserve and emphasize fruit aromas (and some reds like Beaujolais Nouveau for example) are meant to be drunk now. We need to look at some other factors, other than just smell. Tannins, acid and alcohol all have a role in determining a wines' future potential. All three of these components act as preservatives that prevent a wine from oxidizing. As wines age, chemical processes within the wine cause the tannins to soften and actually settle out as sediment. The trick with tannins is how they taste. 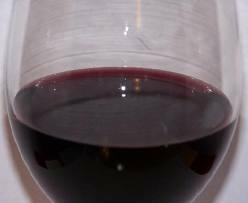 I find that many tannins taste "green" to me, and I find that green tannins, stay green even with aging. Look for ripe phenolics in your tannins. High alcohol in wine, acts to prevent the processes associated with oxidation (the main reason wines were fortified for long boat journeys back in the early days of wine export). Acid, like tannins and alcohol, is a preservative, but acts to balance the fruit component in the wine. Wines high in acid but with a strong core of fruit are perfect wines for aging. Over time, the acid will act to maintain the structure of the wine allowing the wine to age more gracefully. Just remember that acid does not change in the same way that tannin does. The wine will need more fruit to balance the higher acidity. Residual sugar also helps to balance acidity. This last point explains why white wines, like German Rieslings, and dessert wines (Sauterne and Tokaji, for example), age so well. One other thing to keep in mind is the size, or format, of the wine bottle. The standard wine bottle is 750ml. Each bottle will have a little head space of oxygen (known as ullage). Since oxygen is the greatest threat to aging, the amount of ullage in larger formats (1.5l or higher) versus regular sized bottles means less oxygen exposure. Larger formats age better. Remember, that when determining whether or not a wine will improve with age, trust your tasting notes. Talk with your local retailer, or review the write ups in your favorite wine magazine to find out which wines have potential, then buy more than one bottle. Store the wine properly and taste a bottle every so often. Make tasting notes on how the wine is developing and changing over time, and enjoy the journey! Have you tried a merlot from Chile in the past few years? If so, are you sure it was merlot? You may have been tasting carménère (car-men-YEHR). Let’s take a quick look at Chile, and how carménère may be the “signature wine” of Chile. Spanish missionaries brought the first vines (pais) to Chile around 1549 (there are no native grape vines in South America). Between 1840 to 1850, French immigrants, brought with them, the vines from their homeland: merlot, cabernet sauvignon, chardonnay, sauvignon blanc, plus many others. Chilean winemakers modeled their wineries after those in France and began planting in the valleys around Santiago. Vine cuttings of carménère were imported by growers from Bordeaux, where they were frequently confused with Merlot vines. Carménère was part of the field blend, grown with merlot. So, when cuttings were brought from the merlot vineyards of France to Chile, carménère came along with it. In Bordeaux, carménère was considered as good as cabernet sauvignon, but it had irregular yields, so was not as reliable. Chile is a very isolated country. Bordered by the Pacific Ocean on the west, the Andes to the East, the driest desert on earth (Atacama) to the north, and the ice fields of Patagonia to the south….Chile is apart from everything. This isolation prevented Chile from the phylloxera louse (a serious vine killing organism). In the 1870s, this louse spread all throughout France, and from there to other European and North American vineyards, destroying the vines at the roots. Among those displaced by phylloxera were winemakers, growers, and coopers (barrel makers). To this day, the wines of Chile come from vines that grow on their natural rootstock. Most other growing areas in the world require that the vines be grafted onto phylloxera resistant rootstock. Can you taste the difference? For a while, Chilean growers thought carménère was merlot and labeled their wines as such. Evidently “Merlot Chileno” was thought to have a distinctively green tasting characteristic for many years. Then in 1994, thanks to DNA testing, it was discovered that the reason for this was that much of the merlot production included, or was, carménère. Genetic research has shown that carménère may be a distant relative to merlot. Carménère buds and flowers later than Merlot and the yield is lower. When young, carménère leaves have a reddish hue underneath, while the leaves of merlot are white. Merlot ripens two to three weeks earlier than carménère. As a wine, carménère has deep red color, and low acidity. When ripe, it displays black plum, blackberry, coffee, grilled meat, soy sauce, and spice. The tannins are gentler and softer than those in cabernet sauvignon and it is a medium body wine. When produced from ripe grapes, carménère has a fruity, cherry-like, flavor with smoky, spicy and earthy notes. Its’ taste might also be described as dark chocolate, tobacco, and/or leather. So, is this the “signature wine” of Chile? Give carménère a try, and let me know what you think of this lost grape of Bordeaux. Let's be frank about it, when you're at a restaurant, or a friends house, and the topic turns to what wine to have that evening, do you intimidate others with your knowledge? Do you turn your nose up at the suggestion of Charles Shaw Cabernet with your meal? Or, are you like Myles in the movie Sideways, who won't drink any f*@%ing Merlot? Come on, admit it. Could you be (gasp) a "wine snob"? What is the definition of a "wine snob"? The dictionary says a "snob" is, "somebody who looks down on others and considers their own knowledge, or position, to be superior". This might be a good thing when it comes to wine, as a wine snob might know enough about wine that they can pick an excellent bottle off a wine list, without paying a fortune for it. And, that pick might just be the best pairing you ever had. Then again, that same wine snob may make you feel insecure about your own decision, and even ridicule your choice. I think there is a fine line between being a wine snob, and a wine enthusiast (or even a "wine geek"). I think we should all try to be "wine enthusiasts". To me an enthusiast is willing to try new wines, and is always exploring new pairings, new varietals, and continuing to learn. An enthusiast never belittles other peoples' wine choices, tastes, or opinions. An enthusiast likes to learn about wine, and is eager to share that knowledge with others. Recent reports show that individuals aged 21 to 34, are increasingly pursuing wine for a variety of reasons. “They equate it with sophistication, it allows them a means to connect with friends, and they see it as a more healthful alternative to other alcoholic beverages,” This age group tends to purchase more imported wines than baby boomers. We are in the age of the enthusiast! My hope is that we remain enthusiasts, and never turn into snobs. Let's leave the snobs to their own self-image, and simply enjoy the wine we are drinking. After all, Psalm 104: 14-15 says, "He causeth the grass to grow for the cattle, and plants for the service of man: that he may bring forth food out of the earth and wine that maketh glad the heart of man, and oil to make his face to shine, and bread which strengtheneth man's heart." Okay...let the comments begin. Are you a snob, or an enthusiast?